Did You Win High Octane Thriller RACER AND THE JAILBIRD On DVD? We've got three DVDs of the Belgian crime thriller to give away. RACER AND THE JAILBIRD is a fast-paced, high-octane thriller set against the backdrop of a brutal crime gang in Brussels. When Gino (Matthias Schoenaerts, Rust & Bone) meets Bénédicte (Adèle Exarchopoulos, Blue Is theWarmest Colour), it’s love at first sight -passionate, unconditional and fiery. Bénédicte is working in the family business but is a fearless racing car driveron the side. Gino is cool, handsome and comes across as a normal guy... but he’s hiding a secret. Together, they will have to fight against fate, reason and their own weaknesses to save their love. 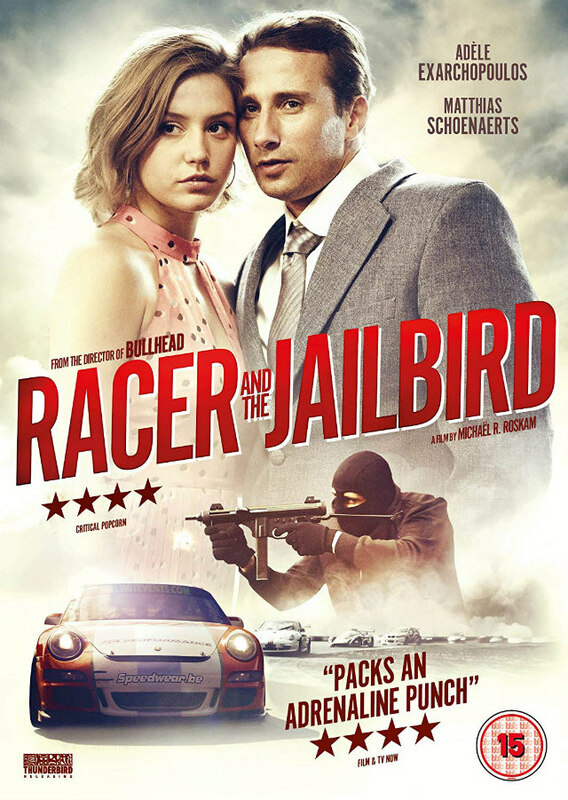 Racer and the Jailbird comes to UK DVD September 10th courtesy of Thunderbird Releasing and we've got three copies to give away to lucky UK readers.